You’ve seen us hint at it on Facebook and Instagram, but now it’s finally time to reveal #ProjectCrusader! Check out the rendering below, watch the video; and follow us on Facebook, Youtube, and Instagram for more updates! Plans are a RIPP supercharger, Trail Gear beadlocks wrapped in 40″ tires, BDS 4.5″ long arm, RCV front shafts, Adams Driveshaft 1310 front &1350 rear shafts, JCR tube fenders, rear stretch, cage, LEDs everywhere, and even more secret goodies. 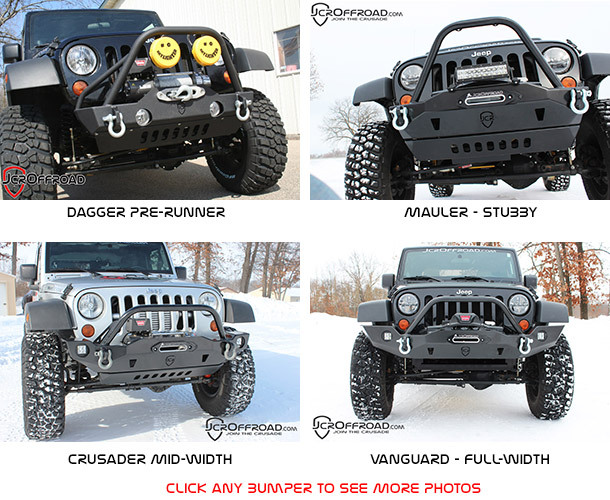 We’ve redesigned our JK bumper line to not only be less confusing, but to add more standard features and still compliment the lines of your Jeep. While we will continue to build the ever popular Dagger Stubby, we’ve removed the Dagger Mid-with, and replaced the Half-Sunk, Full-Sunk, and Full-Width with brand new options. The new Mauler, Crusader, and Vanguard all include Hi-Lift jack slots, modern styling, and the same JCR quality and warranty you’ve come to expect. We even have introductory pricing going on right now, so be sure to check them out. 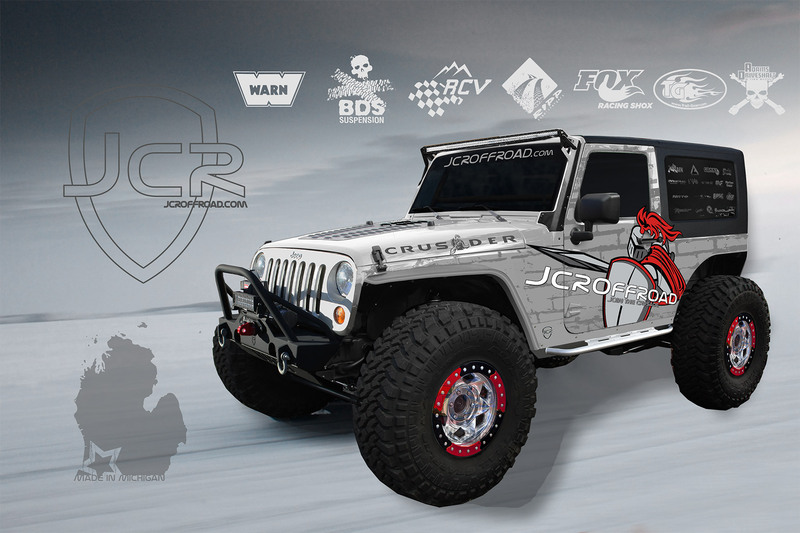 Follow the prototyping process of the JcrOffroad JK full width bumper from Mike’s design to a working prototype. Stay tuned for the reveal of the JK Front Vanguard Bumper!